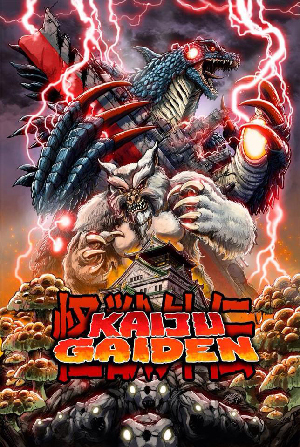 In this episode we speak with the two masterminds behind the Kaiju Gaiden documentary. It focuses on the independent kaiju filmmakers in Japan. People like Shizuo Nakajima, the director of Legendary Beast Wolfman vs. Godzilla and Shinpei Hayashiya, director of Gamera 4: Truth and Deep Sea Monster Reigo will be featured along with many more. Just a note, we recorded this interview about a week ago and they are actually on their way to Japan right now! Make sure to check out their Kaiju Gaiden social media platforms and hopefully they’ll post some updates from their visit to Japan. Also, head over to their campaign and support them! It’s Dogora! Please watch that tentacley invader’s singular entry in the kaiju film landscape, Dogora The Space Monster (1964) and send in your thoughts, questions and reviews (aka your homework) before October 22nd to be a part of the discussion episode.